Kyler Centaurus isn’t your typical runaway. All he wanted was a quick trip to the legendary Fasti Sun Festival. Who wouldn’t want to see new stars being born? Um, try Kyler’s entire family. They couldn’t care less about mind-blowing wonders of science. When an accidental launch sequence ends with Kyler hurtling through space on the family cruiser, the thrill of freedom is cut short by two space pirates determined to steal his ship. Not happening! 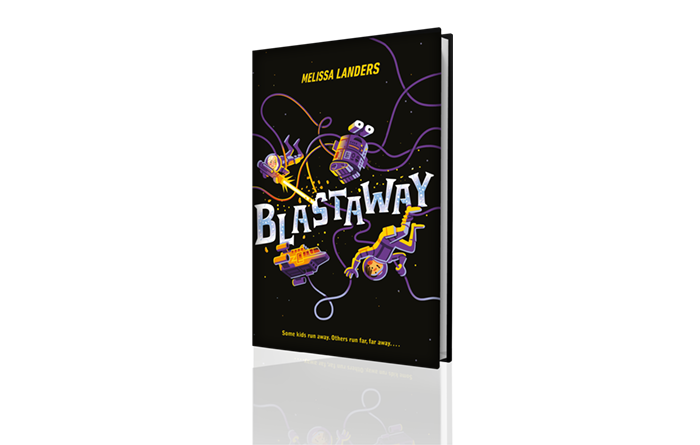 Luckily, Kyler bumps into Fig, a savvy young Wanderer who makes a living by blowing up asteroids. She could really use a ride to Earth and Kyler could really use a hand with the pirates. But when Kyler learns the truth about Fig’s mission, the two must put aside their differences long enough to stop the threat of astronomical proportions racing towards Earth. Amazon | B&N | Indigo | Indie Bound | BAM! Get the scoop on new releases, giveaways and exclusive looks at content straight from Melissa!